While OtterBox has been one of the defining manufacturers of rugged cases for iOS devices, a waterproof solution has always been missing from the company’s arsenal - until now. At CES 2013 in Las Vegas, OtterBox unveiled the Armor Series case for the iPhone 5 and iPhone 4/4S. Our own Dom Esposito stopped by the company’s booth at the show to take a look at the new case. Click here if you can’t see the video. And to say the Armor Series case is protective would be an understatement. With watertight latches, an o-ring seal, port covers, and mesh coverings, the case can be submerged in up to 6.6 feet of water for 30 minutes. The case also protects your handset from dust and other elements with vent and port covers made of a non-permeable membrane and a protective mesh layer. The case can also withstand a rough-and-tumble lifestyle. Thanks to over-molded corner bumpers and high-strength reinforced plastic, the Armor Series can protect an iPhone from up to an astounding two tons of force and drops of up to 10 feet. 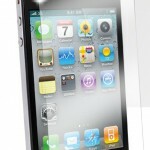 A built-in screen protector prevents damage to the iPhone’s display. 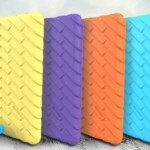 The case will retail for $99.95 with three choices of color combinations. 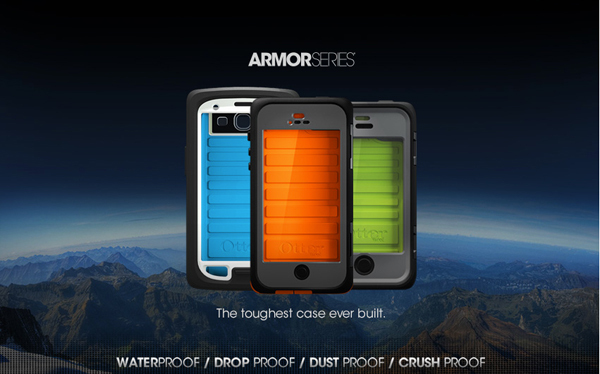 The Armor Series for the iPhone 4/4S will be available Feb. 22 on OtterBox’s site, at AT&T retail locations, and online. The iPhone 5 version is only listed as being available soon.